Anheuser-Busch emergency relief program provides drinking water to those affected by natural disasters. The Anheuser-Busch brewery in Ft. Collins halted most beer production on Wednesday to start producing emergency canned water. The Budweiser parent company made the announcement that it was gearing up to aid those who will be affected by Hurricane Florence, which is barreling down on the East Coast. The Ft. Collins facility joins the company’s Cartersville, Ga., facility in producing cans of drinking water for those affected by emergency situations. The Ga. facility has long canned drinking water for those in need. "For the last 30 years, we have been working with the American Red Cross and our wholesaler partners to provide clean, safe drinking water for communities hit by natural disasters," said Michel Doukeris, CEO of Anheuser-Busch in a statement. “Earlier this year, we made a new commitment to expand our capacity to produce safe, clean drinking water for disaster relief at our Fort Collins Brewery. Today, we are pleased to deliver on that promise, doubling our production capacity to help our fellow Americans in times of need." The company’s emergency relief program has produced more than 79 million cans of water for disaster-stricken areas since 1988. 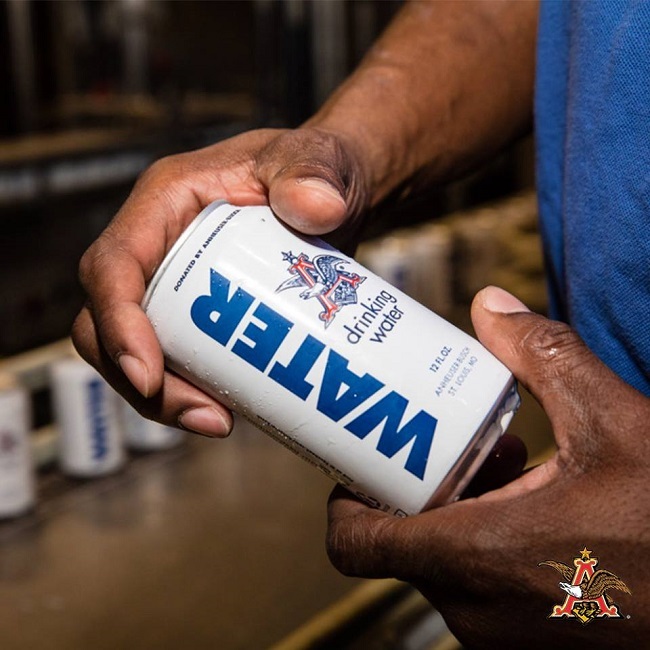 This year to date, Anheuser-Busch has provided more than 300,000 cans of emergency drinking water to communities facing difficult times. “Putting our production and logistics strengths to work by providing safe, clean drinking water is the best way we can help when disasters strike,” said Doukeris. Many facilities are opening their doors for blood donation to help those affected by Hurricane Florence. You can donate blood to the several organization, including Swedish Medical Center and the Bonfils Blood Centers of Denver. In addition, the American Red Cross is asking for monetary donations, as well as blood donations. “Many blood drives in the storm path are canceled. We are asking donors in non-impacted areas to please donate blood now,” said the organization. Visit the Red Cross website to make an appointment in your area or to make a financial gift. RTD construction to close 4 downtown light rail stations. Click to learn more!